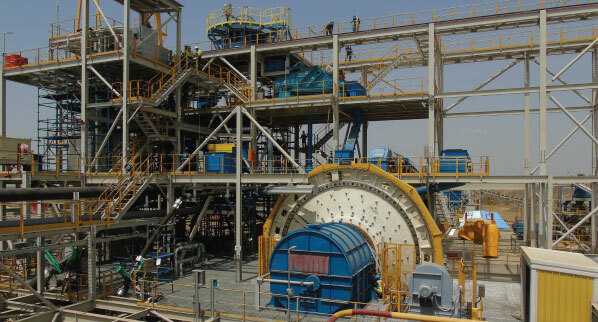 Boungou is a high-grade gold deposit located in the Est region in southeastern Burkina Faso. Commercial production was achieved on September 1, 2018. *based on year-end 2017 mineral reserves and resources. 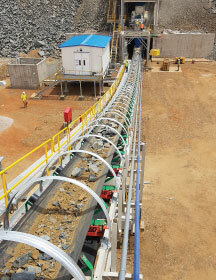 Construction and commissioning of the mine were both completed in the second quarter of 2018. The first gold was poured on June 28, slightly ahead of schedule, and commercial production was reached on September 1. 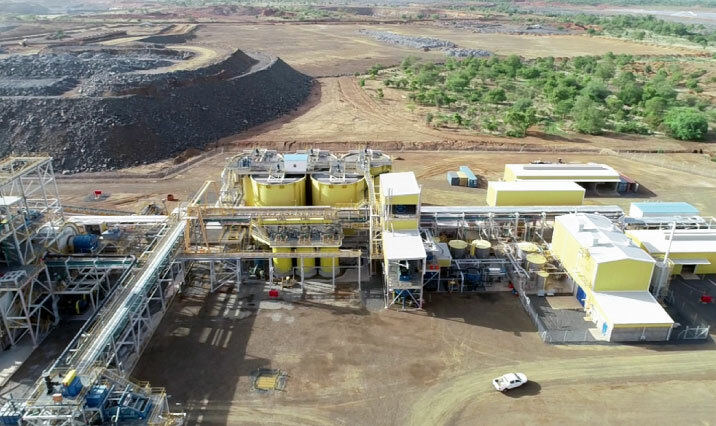 At the end of June, development was on budget with $229 million of the $231 million capital expenditure incurred and pre-stripping of the projected 18 million tonnes had been completed. Recruitment of mine operator employees and their training has been finalised. We are proud to highlight that a total of 5.6 million man-hours were worked without lost-time injury. The Boungou permit, which contains the Boungou deposit, lies within the Diapaga Greenstone Belt, a northeast-southwest orientated belt that extends over 250 kilometers in length and over 50 kilometers in width. SEMAFO holds four contiguous permits, collectively known as the Tapoa Permit Group, covering approximately 70 kilometers in strike length along the Diapaga belt. Laterite and alluvium cover extensive (lateral) portions of the permit however both are generally less than 10 meters in thickness. A budget of $9 million has been allocated to an exploration program comprising 42,000 meters of RC and 60,000 meters of auger drilling. 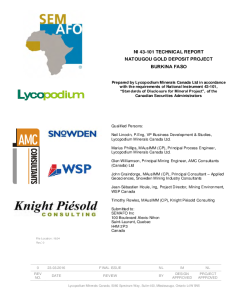 The bulk of the RC drill work will test regional gold anomalies on the Boungou proximal, Dangou, Pambourou and 045 Trend Sectors.